Video has become an essential tool for online marketing. Here's why. Video increases organic search engine traffic by 157% on average and visitors will spend 88% more time on your website. Office tours, doctor interviews, and testimonials give a deep and intimate look into the practice that bring in new patients. Website, social media, email marketing, and beyond – video can be used everywhere and help you reach all kinds of marketing goals. 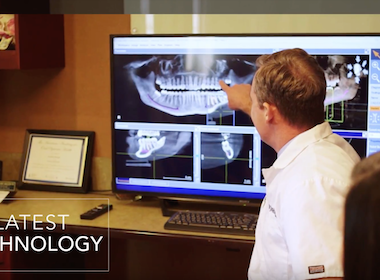 We’ve created a complete package for the most popular video need – a professionally shot and edited video that shows off the practice’s facilities, services, and personality. We've built a process that allows us to efficiently plan and produce excellent quality medical videos. As every medical practice is unique, so is every video. We speak to each of our clients to understand the practice, what makes it special, how they can stand out, and what needs to be captured during the video shoot. We’ll prepare a proposal that includes all of the essential information for your video. The stories we want to capture, interview prompt questions, technology to be featured, and anything else we want to include in the video. This document also acts as a production contract that lays out all of the details for the shoot. We’ll assign a professional videographer to conduct on-camera interviews and collect comprehensive footage at the practice. The production takes around 4-5 hours to cover every detail of the rundown. Once the shoot is complete, a pro editor will go to work to craft a polished video. This includes using the footage to tell the best narrative, incorporating music and graphics, as well as any branding provided to us. Reach out to us via our contact form, or schedule a meeting now to get started! Gravity.Video creates custom video solutions that match your style and needs. We'd love to become your go-to video partner and work with you to create quality media content.